Brentwood, TN – Freshman Almantas Ozelis, of Austin Peay State University men’s tennis team, was named Ohio Valley Conference Player of the Week, Tuesday, following an unbeaten week of stellar play. 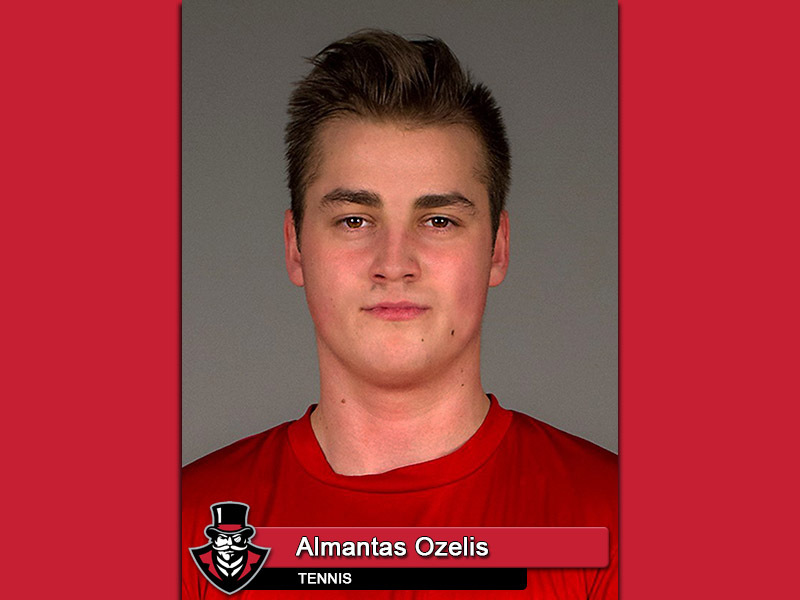 Ozelis, of Marijampole, Lithuania, went 6-0 overall on the week – singles and doubles combined – as the Governors claimed wins over Murray State, Tennessee State and Belmont to extend the team’s OVC winning streak to five. 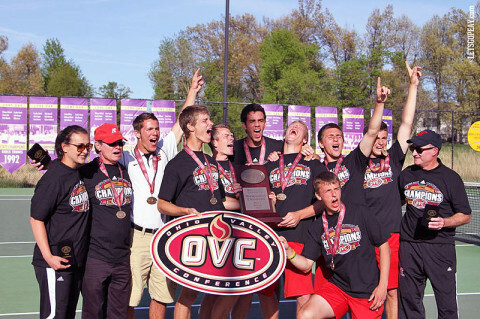 Paducah, KY – For the first time since 1974, Austin Peay State University men’s tennis team has earned the right to call itself Ohio Valley Conference Champion. The Govs defeated Belmont, 4-1, in the finals of the OVC Tournament Championship at Heflin Tennis Center, Sunday, to secure the second conference title in program history. Paducah, KY – In defeating Eastern Kentucky, 4-2, in the Ohio Valley Conference Tournament semifinals, Austin Peay State University men’s tennis team did more than advance to Sunday’s final. Paducah, KY – For the second year in a row, four Austin Peay State University men’s tennis players have earned All-Ohio Valley Conference honors. 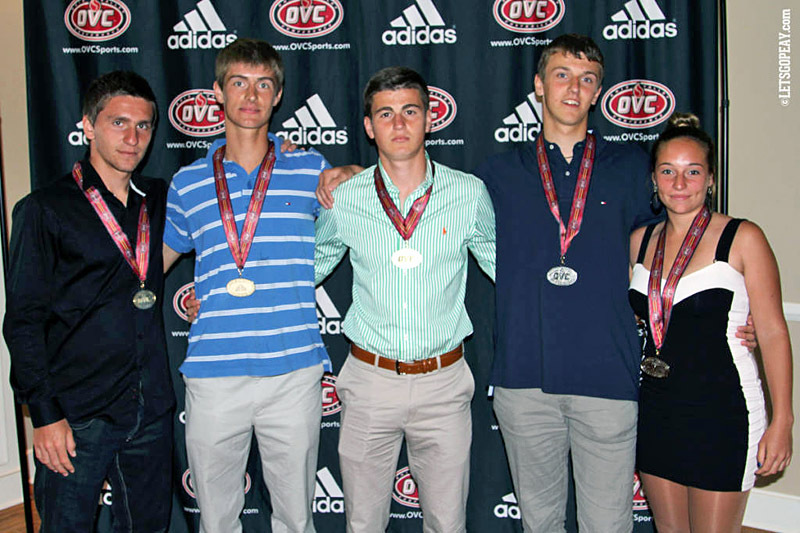 The conference announced their honors at the annual awards banquet prior to the OVC Tennis Tournament Championship. Senior Sean Bailey, junior Jasmin Ademovic and sophomore Dimitar Ristovski earned first-team honors, as voted by the conference coaches. 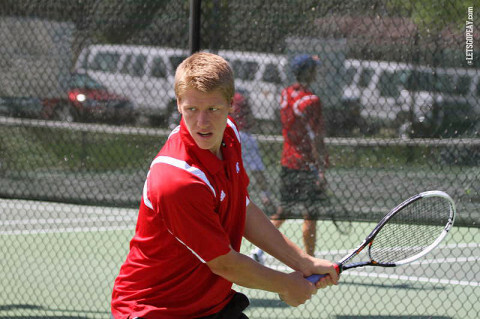 Sophomore Aleksas Tverijonas claimed a spot on the second team. It’s the second time in three years the Govs have placed three on the first team, with Ademovic, Bailey and Henrique Norbiato earning first-team honors in 2011. 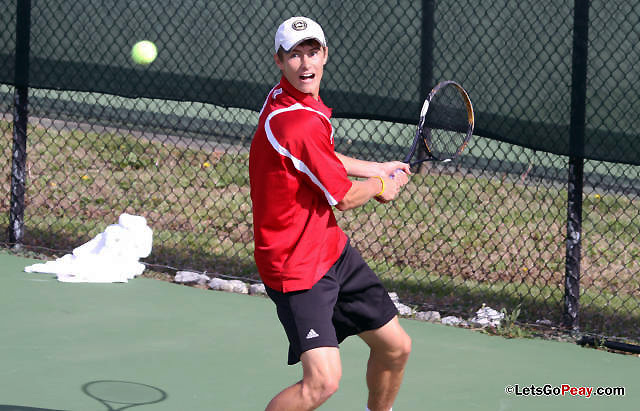 Clarksville, TN – The wins keep rolling in for Austin Peay State University men’s tennis team, which won its 14th straight match in convincing fashion, 6-1, Sunday, against Belmont at the Austin Peay Tennis Courts. Clarksville, TN – Coming into the home stretch of the 2013 spring season, Austin Peay State University men’s tennis team looks to continue its march to the Ohio Valley Conference Tournament with weekend matches against Tennessee State (1:00pm, Saturday) and Belmont (2:00pm, Sunday). Clarksville, TN – Austin Peay State University men’s tennis team upended Belmont, 5-2, Wednesday afternoon in its home opener at the Governors Indoor Tennis Center. Belmont entered the match looking to continue the momentum built through a strong fall tournament season, but the Govs had other plans. 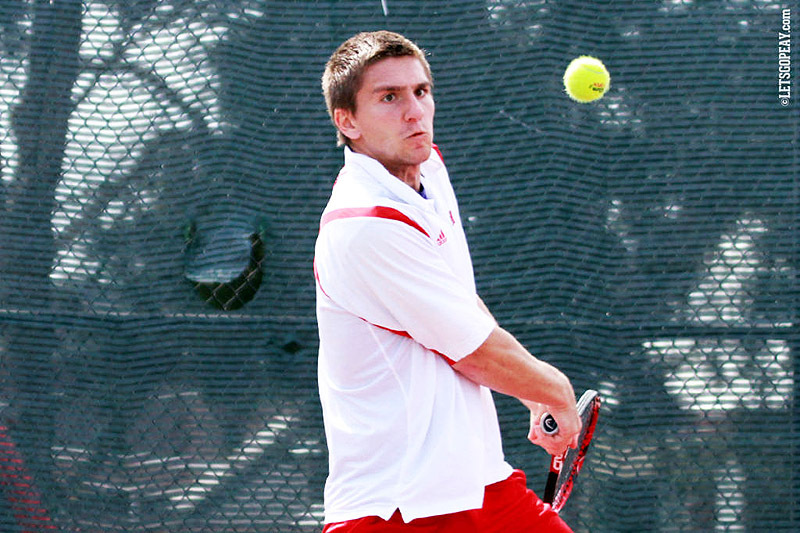 It started with a sweep of the doubles point and ended with the APSU winning the top two and bottom two singles to take the match. Clarksville, TN – For a third straight year, Austin Peay State University women’s golf team has been saluted with the Ohio Valley Conference Team Academic Achievement Award. Clarksville, TN – Two senior athletes who authored record-setting careers have been named the 2010-11 Legends Award recipients. And two underclass athletes who led their respective programs into the postseason have been named Most Outstanding Athletes. 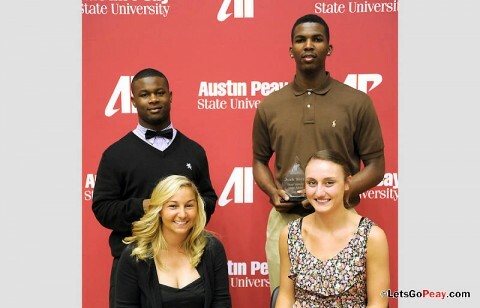 The recipients of Austin Peay State University’s most cherished athletic awards along with the individual team honors were made Monday night at APSU’s annual Athletics banquet, held in Dave Aaron Arena. 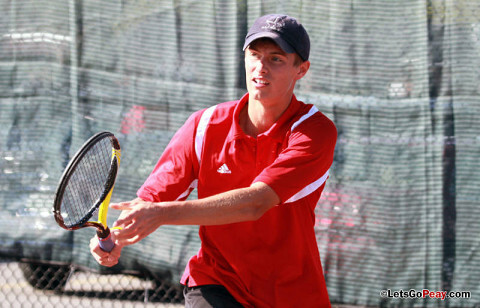 Paducah, KY – Experience outlasted youth in Sunday’s Ohio Valley Conference Tennis Championship match as Austin Peay State University men’s tennis team dropped a 4-1 match to Eastern Kentucky. As regular-season champions, the Colonels (21-4) entered the tournament as the outright favorite, sporting an undefeated league record and a team comprised of juniors and seniors. 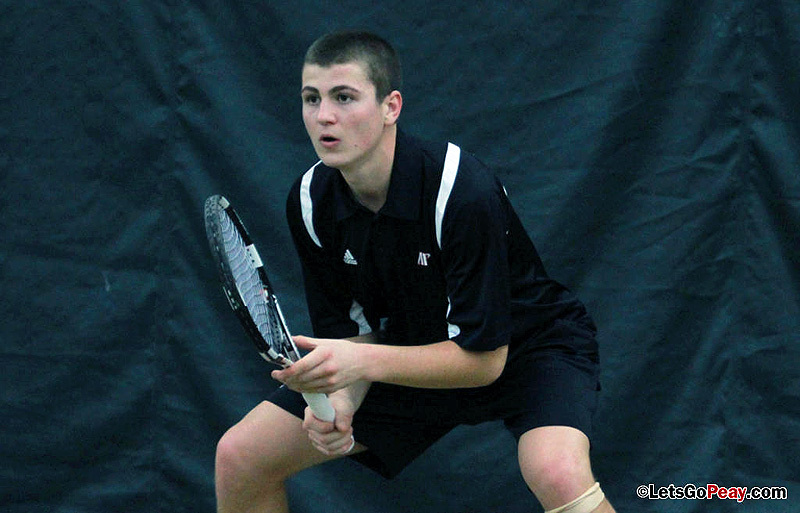 In fact, the 2011 title was the second-straight for EKU and, like they did last season, the Colonels will represent the OVC in the NCAA Tennis Championships.